The root directory of a preexisting CopyStorm installation. The root directory of a preexisting CopyStorm/Medic installation. A directory for storing CopyStorm configuration files accessible to the CopyStorm/Director program. 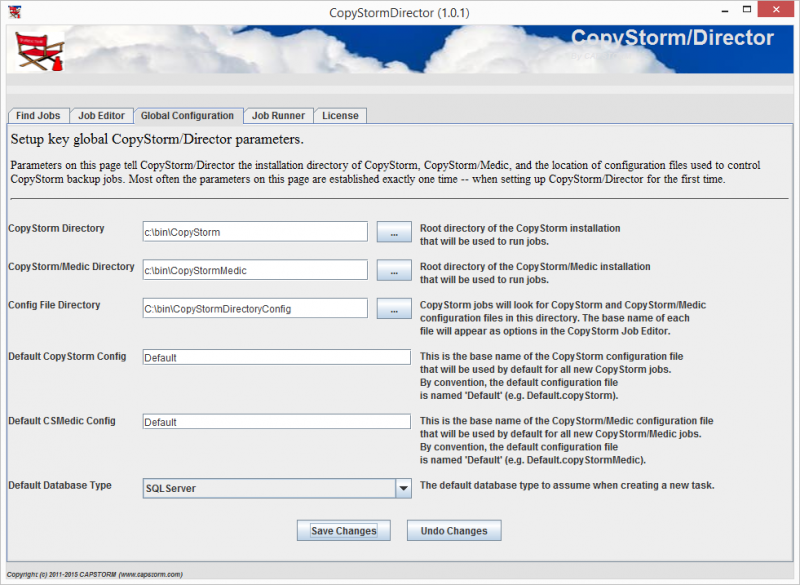 Capstorm recommends that this directory be created OUTSIDE of a CopyStorm or CopyStorm/Medic installation. Enter the parameters as shown in the example below and you will be ready for the next step: Setup and Schedule Your First CopyStorm Job.